The Noosphere (pron. : /ˈnoʊ.ɵsfɪər/; sometimes noösphere), according to the thought of Vladimir Vernadsky and Teilhard de Chardin, denotes the "sphere of human thought". The word is derived from the Greek νοῦς (nous "mind") and σφαῖρα (sphaira "sphere"), in lexical analogy to "atmosphere" and "biosphere". 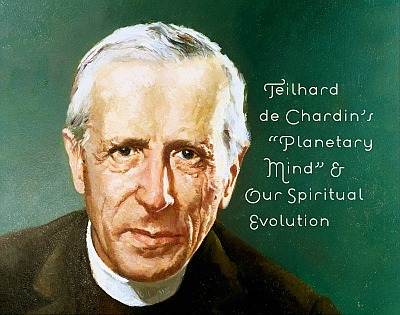 It was introduced by Pierre Teilhard de Chardin in 1922 in his Cosmogenesis. In the original theory of Vernadsky, the noosphere is the third in a succession of phases of development of the Earth, after the geosphere (inanimate matter) and the biosphere (biological life). Just as the emergence of life fundamentally transformed the geosphere, the emergence of human thinking fundamentally transforms the biosphere. As mankind organizes itself in more complex social networks, the higher the noosphere will grow in awareness. This concept is an extension of Teilhard's Law of Complexity/Consciousness, the law describing the nature of evolution in the universe. Teilhard argued the noosphere is growing towards an even greater integration and unification, culminating in the Omega Point, which he saw as the goal of history. The goal of history, then, is an apex of thought/consciousness. One of the original aspects of the noosphere concept deals with evolution. Henri Bergson, with his L'évolution créatrice (1907), was one of the first to propose evolution is 'creative' and cannot necessarily be explained solely by Darwinian natural selection. L'évolution créatrice is upheld, according to Bergson, by a constant vital force which animates life and fundamentally connects mind and body, an idea opposing the dualism of René Descartes. In 1923, C. Lloyd Morgan took this work further, elaborating on an 'emergent evolution' which could explain increasing complexity (including the evolution of mind). Morgan found many of the most interesting changes in living things have been largely discontinuous with past evolution, and therefore did not necessarily take place through a gradual process of natural selection. Rather, evolution experiences jumps in complexity (such as the emergence of a self-reflective universe, or noosphere). Finally, the complexification of human cultures, particularly language, facilitated a quickening of evolution in which cultural evolution occurs more rapidly than biological evolution. Recent understanding of human ecosystems and of human impact on the biosphere have led to a link between the notion of sustainability with the "co-evolution" [Norgaard, 1994] and harmonization of cultural and biological evolution. What Does This Mean for a LoveShift on Earth? As more and more people THINK differently, the noosphere will evolve in direct proportion to the content, volume and intensity of their thoughts. 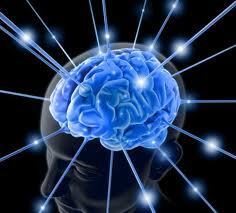 Watch a video, read an article, share your thinking with others, and the noosphere will change!